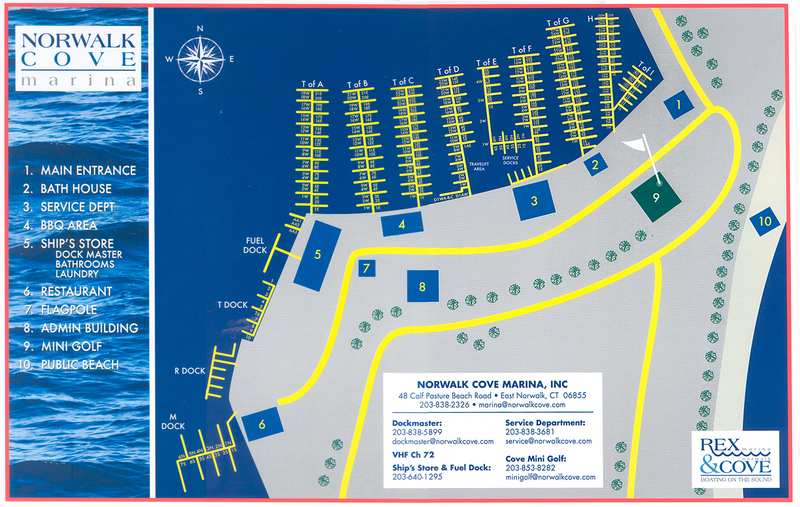 400 boat slips accommodating boats up to 138’ in length. Four Marine Travelifts with hauling capacity up to 150 tons. Fuel Dock with high speed pumps featuring ValvTect gas & diesel fuel. Experienced staff of mechanics and technicians. Well maintained floats, piers and ramps. Private showers and restroom facilities. Marina-wide WIFI and Cable TV. Mini golf course, picnic and BBQ areas. Fully stocked Ships Store and Gift Boutique. Across the street from beaches and dog park, walking distance town tennis courts. Complimentary Customer Courtesy Shuttle to South Norwalk Restaurants, museums, Metro North Train Station and grocery shopping.